This is the final part of our four part series on opening cold with a modest budget. 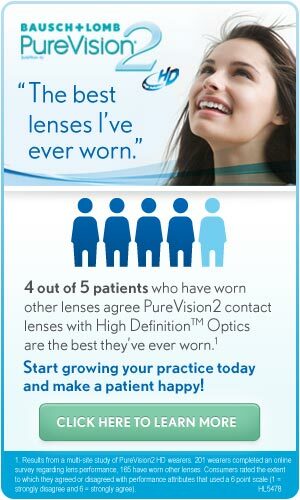 Please see the last three tips at www.optometric.com. I've really enjoyed the personal stories many readers have shared with me about their experiences in opening a practice. I'm pleased that many of you have told me that this series inspired you to consider opening your own private practice. Since we started our hypothetical practice on an initial budget of only $62,000 and we have very low monthly expenses, we obviously have a very modest practice. The great thing about new practices is that they can grow very fast. It is not unusual to grow 100% or more in revenue from year one to year two. After two years, you are beginning to see more patients returning for eye care while you're still attracting a high number of new patients. You are seeing positive cash flow and you are reinvesting available funds into the practice in more equipment, more staff, and nicer office décor. Let's review some of the details we glossed over in our start-up practice and then let's look ahead to the future. Since this tip series is really a mini-business plan, let's look closer at the projected gross income from last week. When I refer to practice gross revenue, I always mean collected gross income for the practice after insurance adjustments. It is a total of all fees paid to the practice and deposited in the bank. Our hypothetical practice income for the first year $218,880. Is that possible and reasonable? The closest data I have on that is from the First Practice Academy, which gathered data from newly formed practices that were open up to three years. The mean annual revenue was $286,000. If we look at data for all established optometric practices in the United States, we find median annual gross income (one full time equivalent OD) is about $550,000 according to AOA surveys and about $688,000 from Management and Business Academy surveys. I've known many single ODs who generate gross revenue of $1.2 million and much more in a busy practice. Where do patients come from? There are all kinds of innovative practice marketing ideas available. As CEO of your practice it will be up to you to read about them, think about them and try them. Search the Tip archive and read Optometric Management magazine for plenty of ideas. If you ask any successful optometrist where most patients come from, you will hear word-of-mouth referrals. It is the best way to build a thriving practice. The key to generating lots of word-of-mouth is outstanding customer service. Of course, you also need to provide excellent eye care services and products, but that is generally expected. Customer service (showing patients that you care about their wants and needs) is extremely important. Word-of-mouth referrals occur much faster than most people think. One other major source of patients is vision plans. Established optometrists may complain about the discounted fees, but vision plans are a huge resource for new practices that need patients very badly. Medical plans are equally important, of course, and I recommend that new ODs practice full scope medical eye care, but vision plans drive more patients to the office because they cover routine exams, contact lenses and glasses. Visualize what you want your practice to eventually become and stretch to make it look like that. Don't always wait for the perfect sign to make a change, like "As soon as we get busier, I'll move to a nicer office." Moving to a nicer office could make you become busier. You have to take some risks in business. You may not be able to have your office open long hours at first due to working elsewhere and a limited staff, but ideal office hours are weekdays from 9am to 5pm plus two or more evenings until 7pm plus Saturdays 9am to 1pm. Longer hours than that are even better. Early morning hours are great too. Even in the beginning keep the office open with a receptionist most days. People want to call and speak to a real staff member – not an answering service that knows nothing and not voice mail. People do not want to find your office door locked in the middle of a weekday. Develop your priority list and reinvest money in your practice. Only you can decide how best to do that. You are the CEO. Borrow or lease as needed, but do so safely so you're not overextended. Hire more staff and train them to be the best. Make legendary customer service the core of your office culture. Let the patient win. Eventually, own your office building, hire associate ODs and open branch offices. Work on your practice; not in your practice.